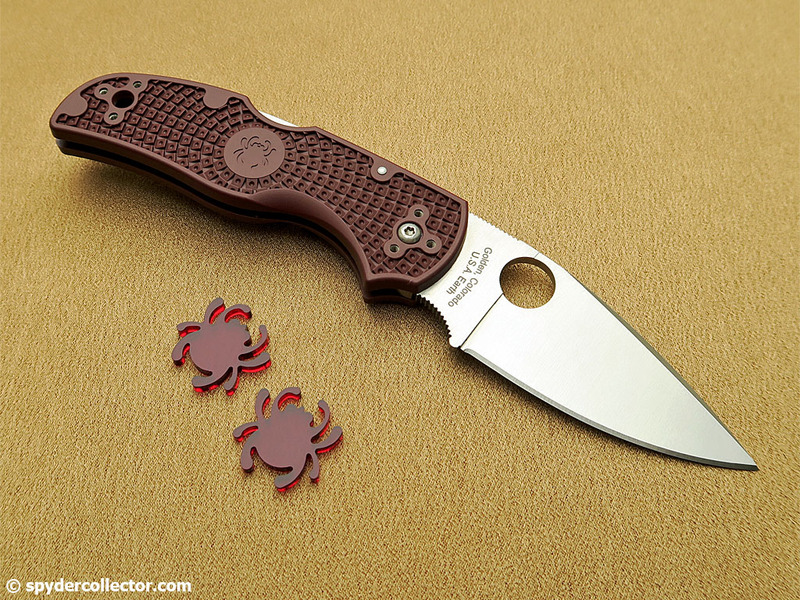 The Lum Chinese Folder is one of those designs in the Spyderco line-up that I’m really excited about. I appreciate its rare combination of amazing looks and incredible functional utility. I managed to collect most, if not all, of the variations of the Chinese Folder. So you can imaging I am very happy to come across this rare variant of the Chinese Folder! 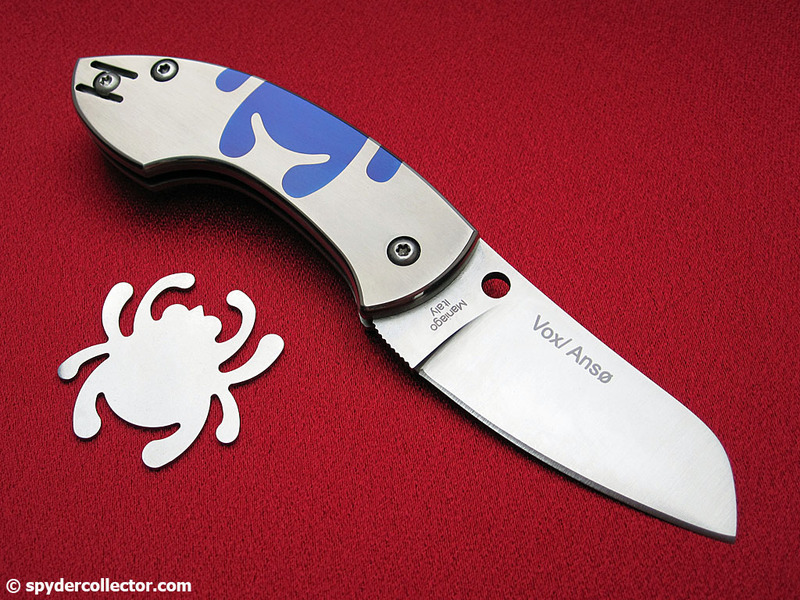 This particular knife started its life as part of the Sprint Run Chinese Folder with a blue almite handle, and then it was laser engraved at the factory with this bug-in-the-web pattern. 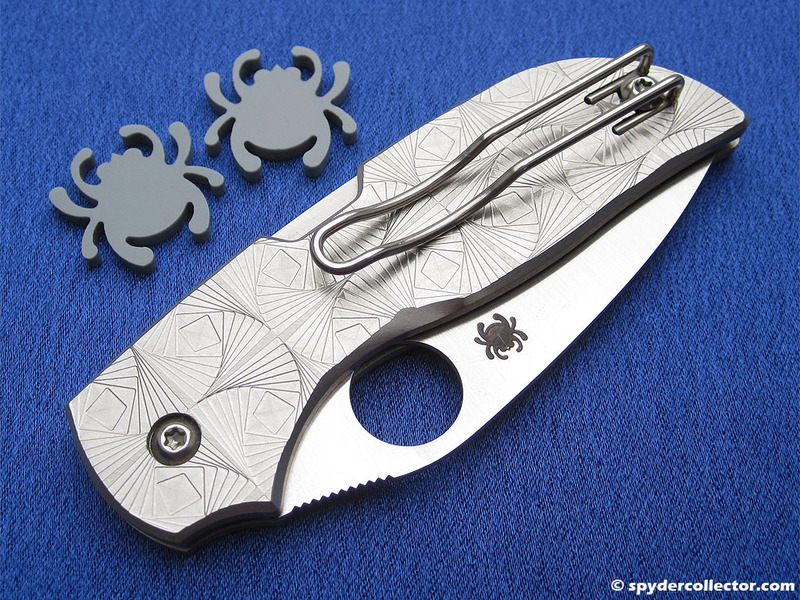 This engraving service, and in particular this design, was advertised by Spyderco in one of its catalogs in the early 2000s. However, I’ve never seen such a Chinese Folder ‘in the wild’. The knife itself was in excellent condition. It looked like it was only used for opening mail or boxes until the edge lost its factory-edge. A quick touch-up on my Sharpmaker got the edge back to its proverbial hair-popping sharpness. I also brushed out the lint in the handle and applied a few drops of oil in the pivot to make this unique Chinese Folder 100% functional again. The handle has no damage at all from use or carry, I couldn’t find any scuffs or scratches anywhere. 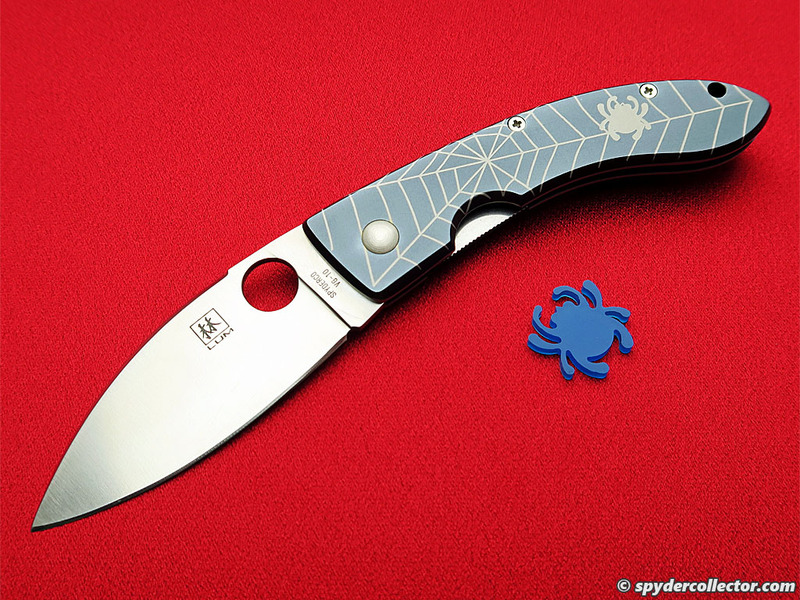 I’m very happy to add this unique variant to my collection of Spyderco Lum Chinese Folders. 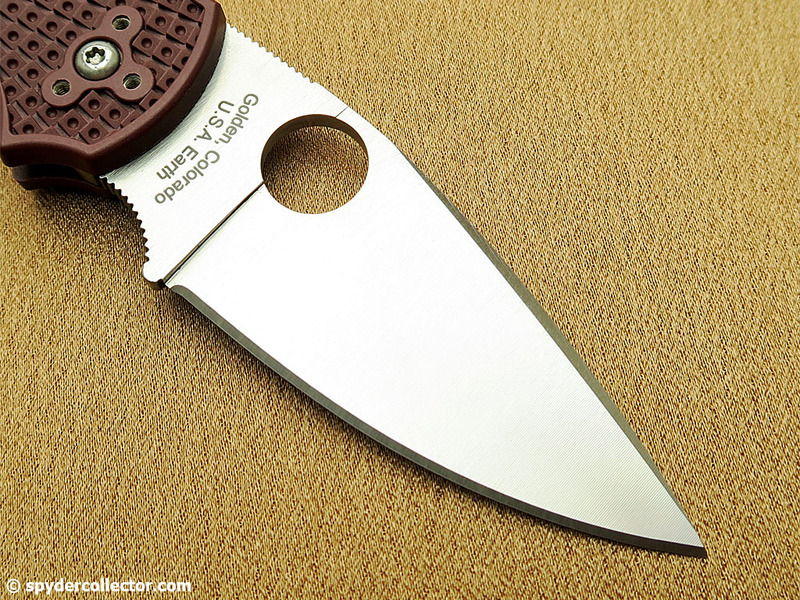 Have you seen a similar Chinese folder in the wild, or in your collection? I don’t need to carry and use Slipit, as I still enjoy a modicum of sane legislation when it comes to carrying and using a pocket knife in public. 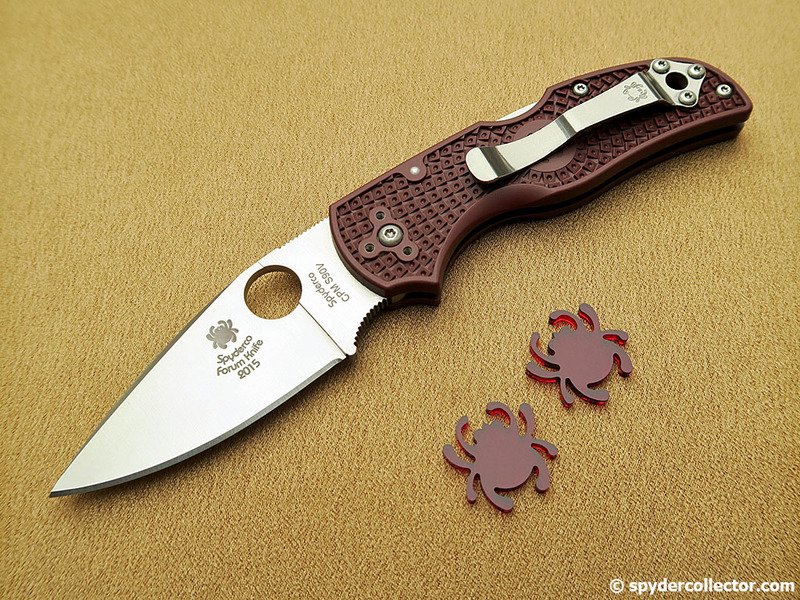 Still, I really admire what Spyderco has accomplished with their Slipit line. 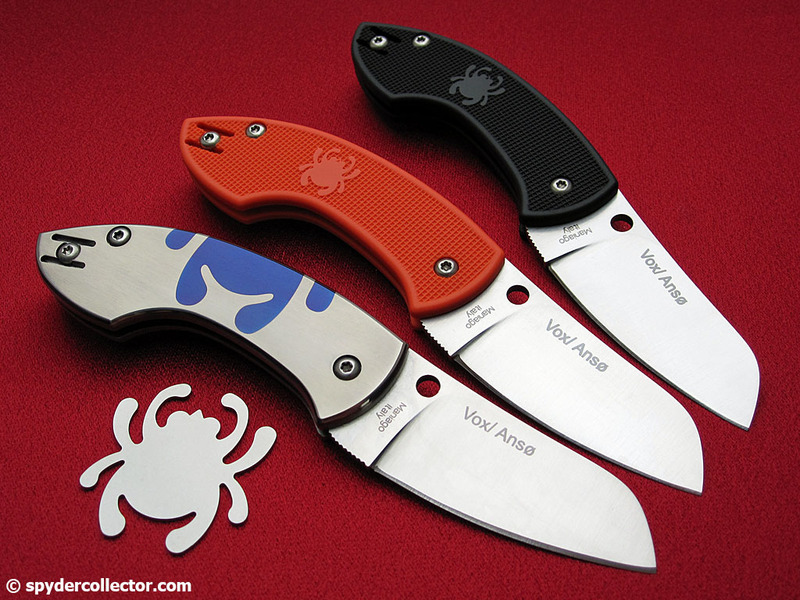 They are great knives, even if you can still carry locking folders. 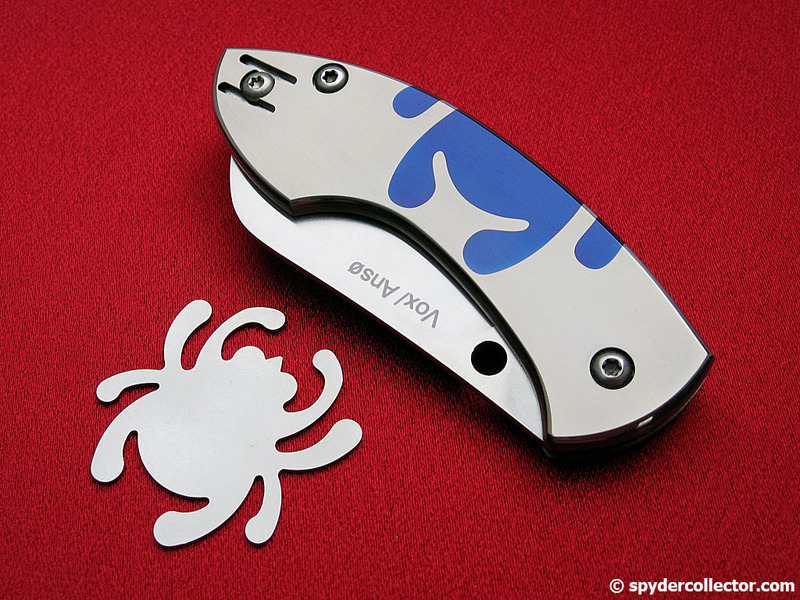 This new sprint run Pingo with an Elmax blade, titanium handle and anodized bug logo is a nice change of pace from the existing Spyderco Slipit line. 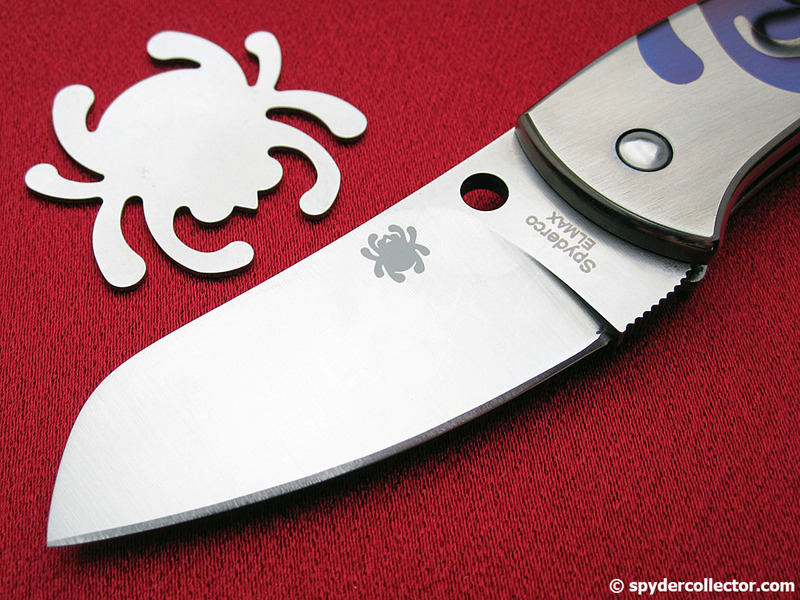 The Pingo was specifically designed for Danish knife users, and it apparently was named after their crown prince. The lightweight Pingo folders proved to be great EDC pieces during my vacation in Denmark last year. I still like to carry one at home sometimes, when I’m looking to carry a truly lightweight folder that’s also extremely non-knife-people-friendly. 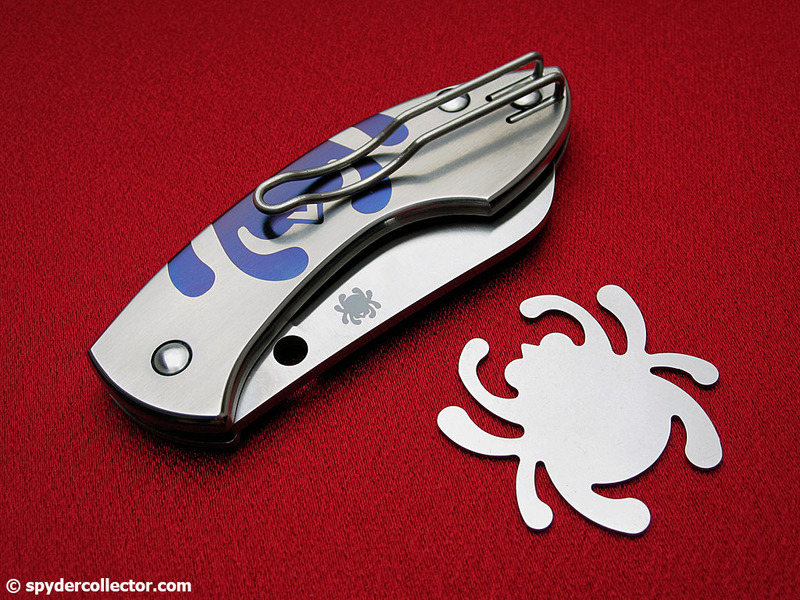 This sprint run with an Elmax blade and anodized titanium handle is a dandy little jewel of a knife. 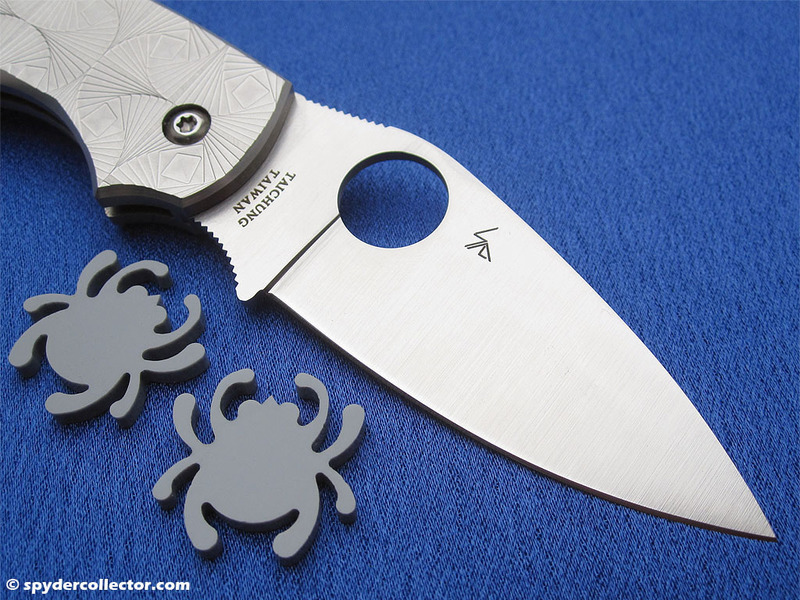 The fit & finish rival that of the older spydies made by Moki. The sprint run Pingo is definitely a very finely finished piece. 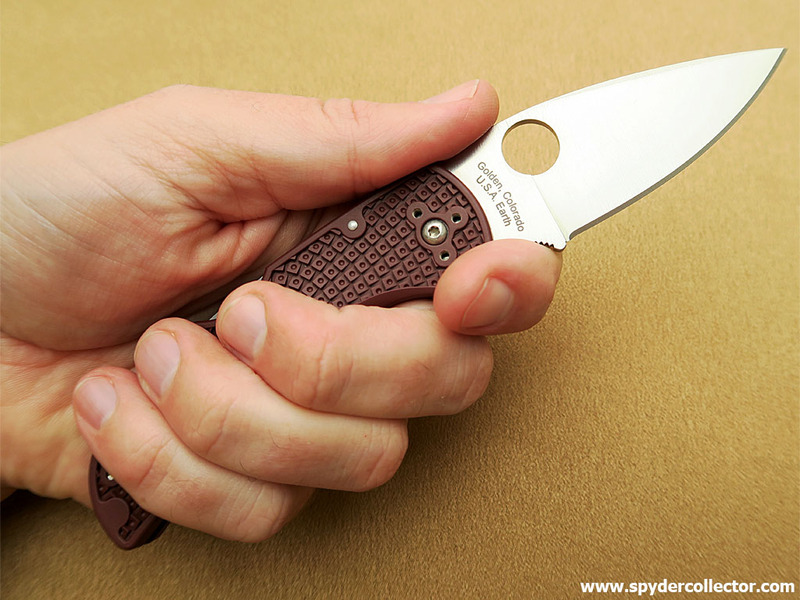 The Spyderco Slipit line, so far, have been all business like EDC folders, using G-10 and FRN as handle materials. The UKPK did come in a Ti handle, but with a dull finish unlike this shiny sprint run Pingo. 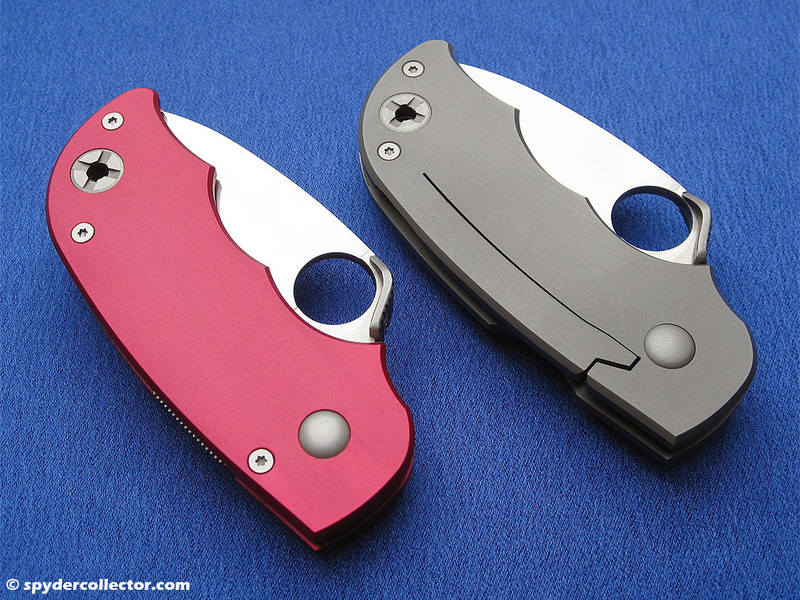 The sprint run Squeak and regular production PITS designs also feature shiny and more flashy titanium handles. It definitely adds a touch of ‘class’ to the Slipit line, if you’re into that. 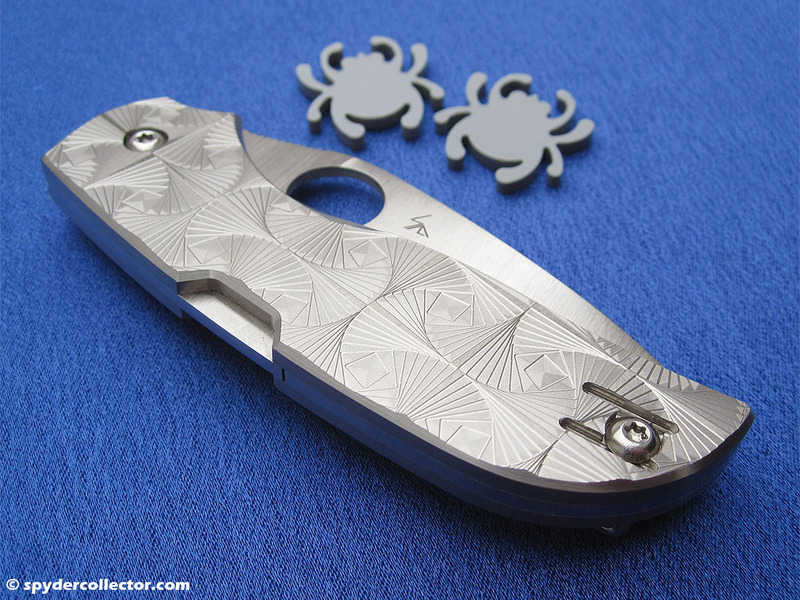 The anodizing of the bug doesn’t cross and wrap around the spacer which is a pity. 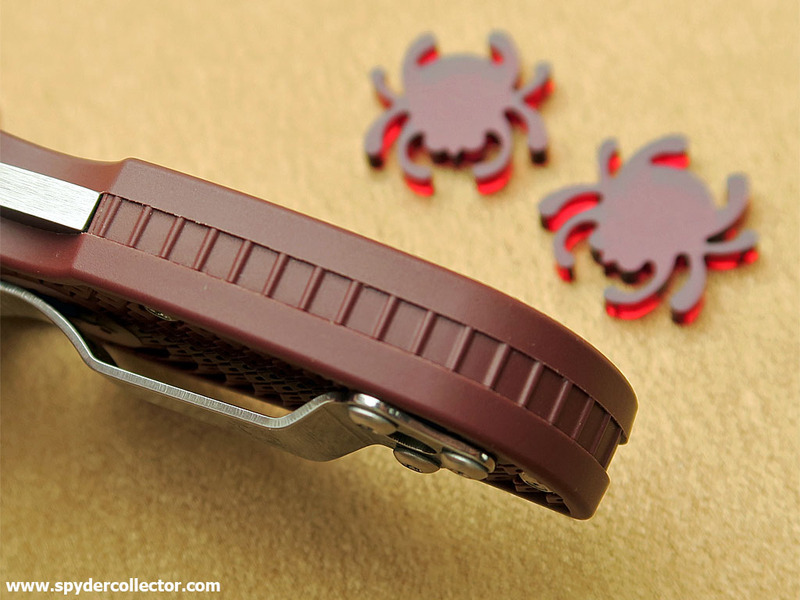 I suspect this was done because the anodizing wouldn’t stick or line up properly to the backspring/spacer. This part does move a bit when opening and closing the knife. Titanium has always been touted as a high-tech, strong and light material. Mind you, this is a relative term. This titanium folder is significantly heavier than its FRN counterparts. This is why I really like my fluted Ti Military. 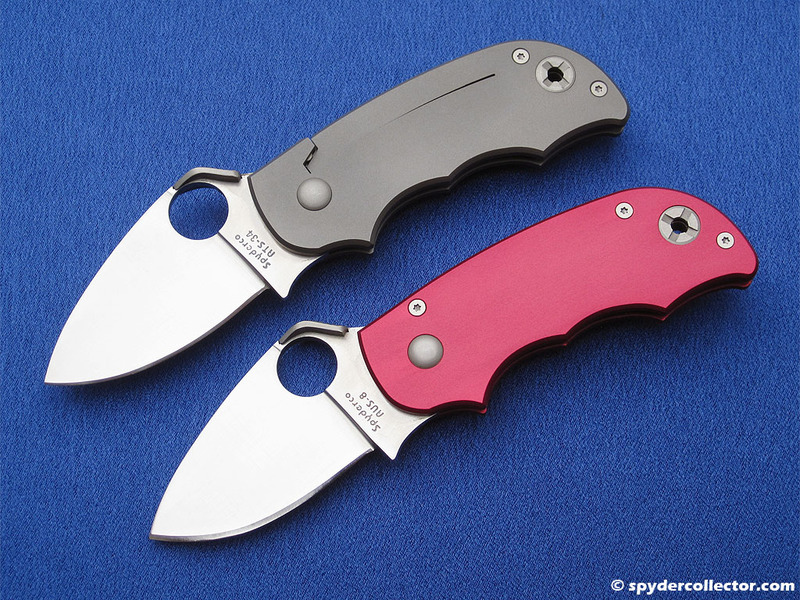 With the Military, you get to enjoy the anodized titanium handle at a –to me- similar weight and feel as the G-10 original. The knife shipped with a tiny piece of plastic stuck under the clip. That way, the handle doesn’t get scratched before you switch the clip for left-handed carry. 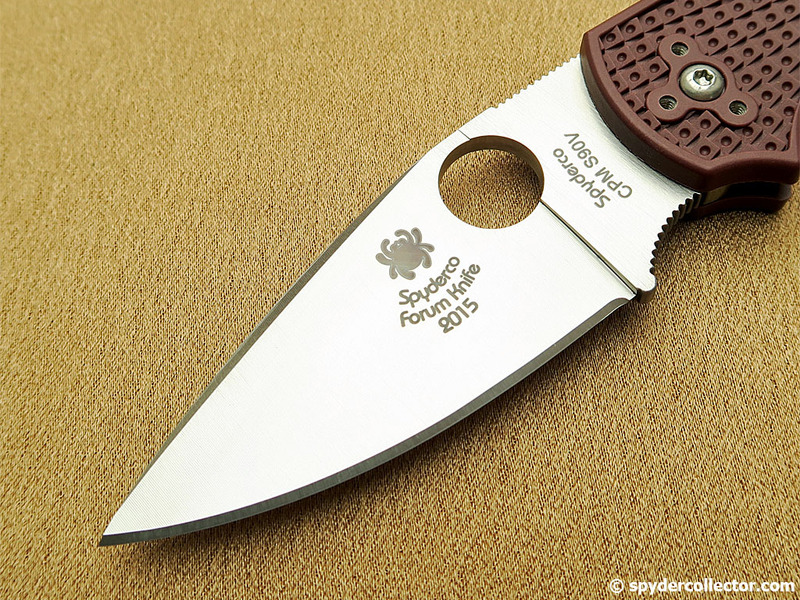 Spyderco also added this piece of plastic under the clip of the titanium PITS folder and, reportedly, also on the titanium Squeak sprint run. A nice touch that this lefty certainly appreciates! For me, this is a suit and tie type folder; a gent’s knife. I’ll be carrying it at more formal occasions, so it won’t see as much pocket time as e.g. my Stretch folders. I’m sure I won’t stretch the limits of the Elmax blade, but I certainly enjoyed adding this knife to my collection and I’m looking forward to its occasional carry and use. 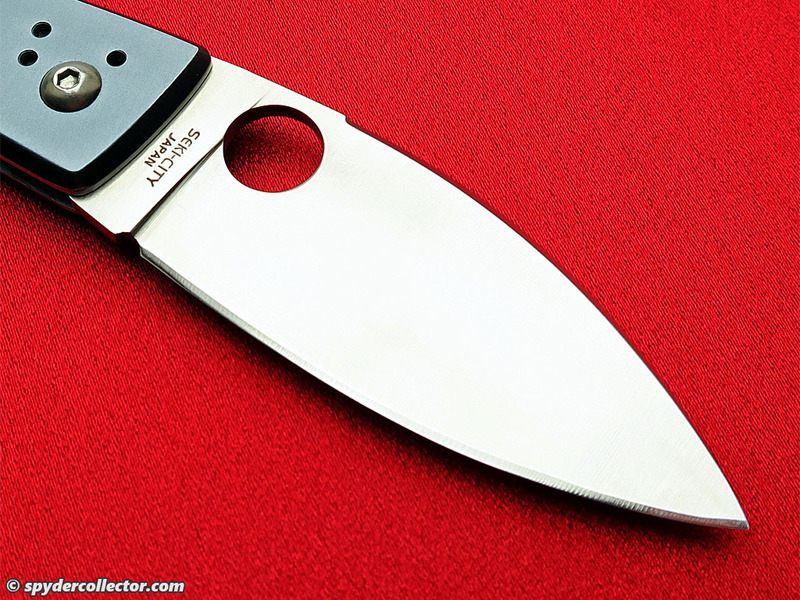 Ultimate Grail Knife – 22 Years in the Making! 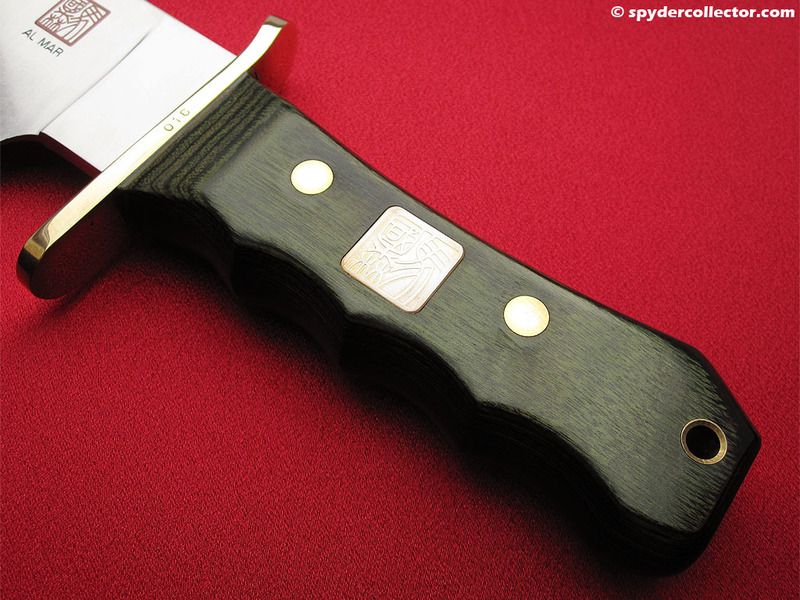 Among knife aficionados, you’ll often hear the term ‘grail knife’. This usually refers to a knife the ‘afi’ in question has a hard time to hunt down and that’s number 1 on his wish list. I’ve been careful not to throw the term around too much myself. However, the knife I’m posting here is certainly worthy of the moniker. 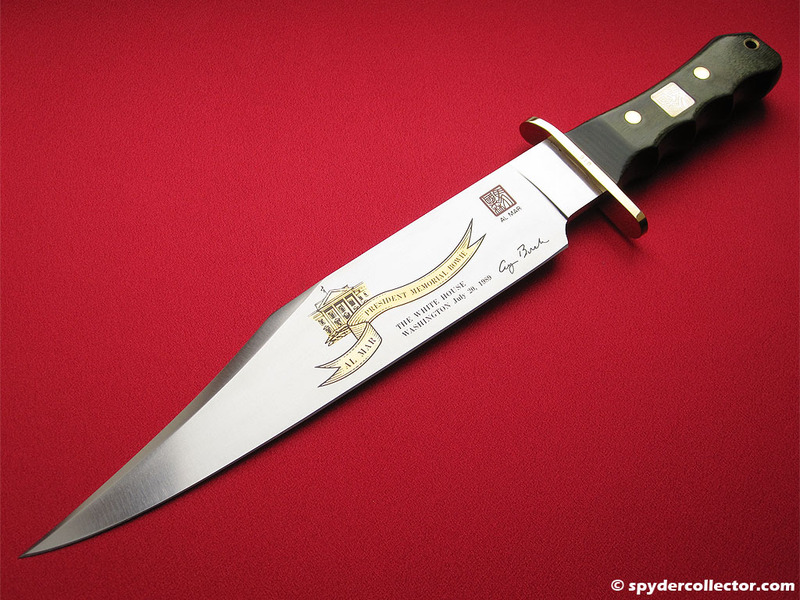 This fall, I scored a vintage Al Mar model 4009 Commemorative Presidential Bowie knife. I had been pining for this knife since I first got into knives in the early 90s. Now, this very same knife is mine! 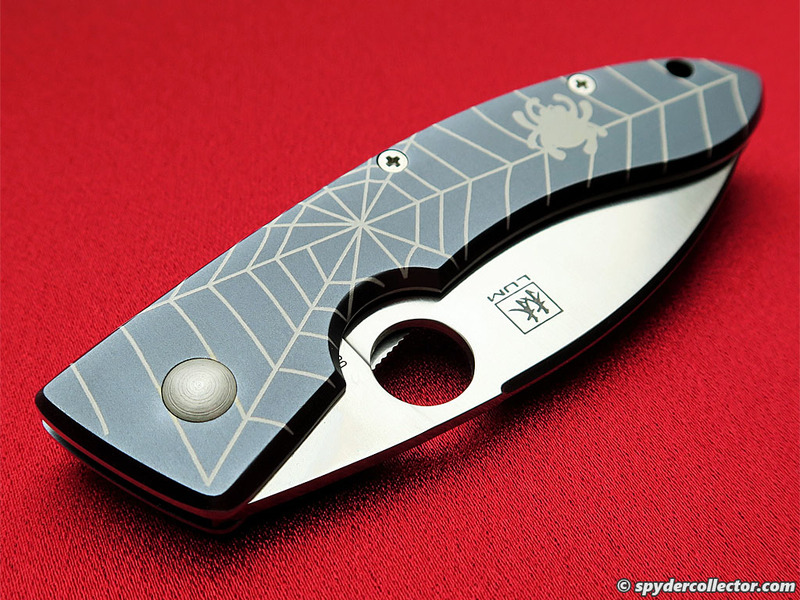 My main EDC and collection interest is Spyderco and I cannot imagine that to change. Before I arrived at the Golden brand, however, I went through all major factory brands and some custom makers. I carried, used and collected a little bit of everything. Al Mar was a brand that appealed to me very early on. Not so much for use, but for the pure enjoyment of collecting. The wood, leather and brass parts, combined with very powerful blade profiles, are still an irresistible combination to me. 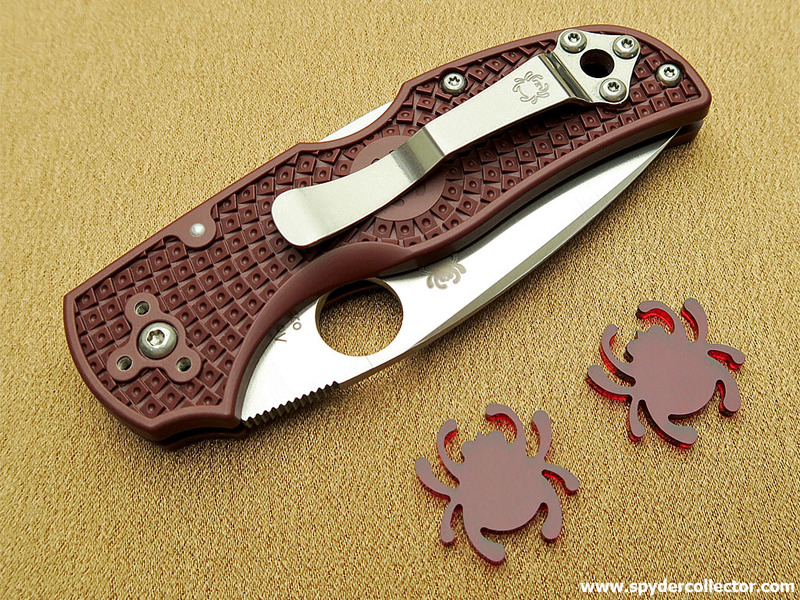 Later on, I was delighted to learn that Al Mar played an instrumental role in the founding of Spyderco. On a vacation trip to Switzerland around 1992, I visited a knife shop that featured this massive Al Mar bowie knife in its own red velvet lined lacquered box. It was love at first sight, but the price was astronomical. During my first trip to Switzerland I was pleasantly surprised. Every town seemed to feature knife shops! As you’d expect, they were all stocked to the ceiling with traditional Swiss army knives. But you’d also find plenty of cool ‘real’ knives. In one of these towns, close to our camping site in the Swiss canton of Graubünden, I found the shop that carried this Al Mar Presidential Bowie. My dad taught some courses there, and we would often combine our family vacation with these courses. 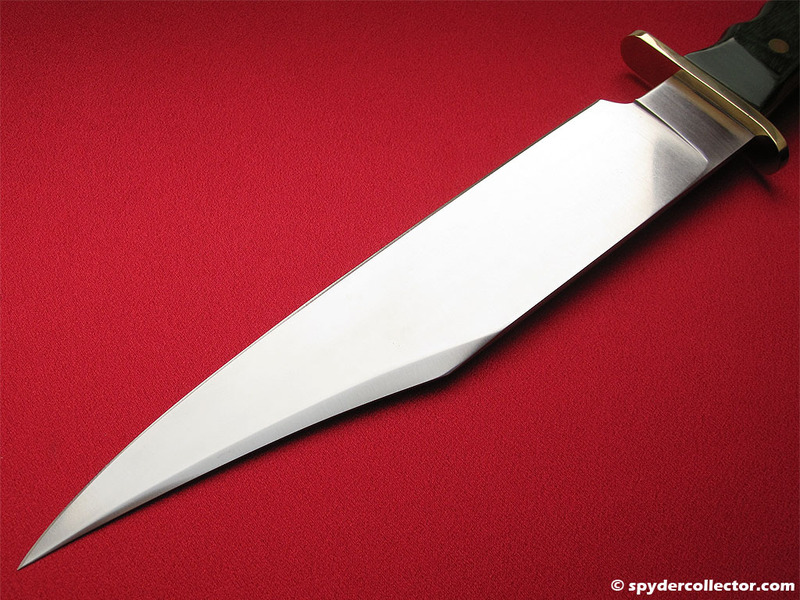 This way, I would visit the shop every couple of years and I’d always be heartbroken to see this awesome knife still sitting there. But it was simply too expensive for me. Since my dad passed a few years ago, we still like to occasionally visit the area for family vacations. This year was different as I had a mission. I’d been saving up and this time, I was determined to take the knife home with me. Despite my growing worries about the knife being sold, I was relieved to find the knife still sitting there in a dark corner of the basement-level in the shop! The store had been slowly transforming from a real knife shop into a shop focusing on souvenirs and culinary items. In the basement were some of the last ‘real’ knives. I had to play it cool, as I wanted to negotiate a lower price. I noticed the handle color had faded a bit, there didn’t seem to be a certificate and the wooden case’s lid had warped just a tiny bit. And don’t forget, this knife hadn’t sold for over 20 years. There should be some room for negotiation right? It turned out that the Swiss aren’t accustomed to haggling. I had to speak to the manager who wouldn’t be in for a few days. That was OK, after all those years I could wait another day or two. It turned out that the manager worked for the previous owner, who passed away a few years earlier. He was a collector and he loved this knife as well. It was actually the only knife still left in the shop that he had acquired. The conversation didn’t go very easy at first, but once she noticed that I was a real collector things got better and we struck a deal. She finally said that she only agreed to negotiate, because she figured it would be going to a proper home. The knife itself is still in excellent condition. It just needed a little bit of cleaning up (I know I hurt the collector value, but this is MY knife now!). After polishing the brass guard with a mild brass cleaner, I noticed a number in the guard. According to an old Al Mar catalog, this commemorative Bowie was released in a 100 piece run. It turns out that I got number 16! I also cleaned and carefully polished the green pakkawood handle with some renaissance wax. This significantly improved the color fading I noticed earlier. 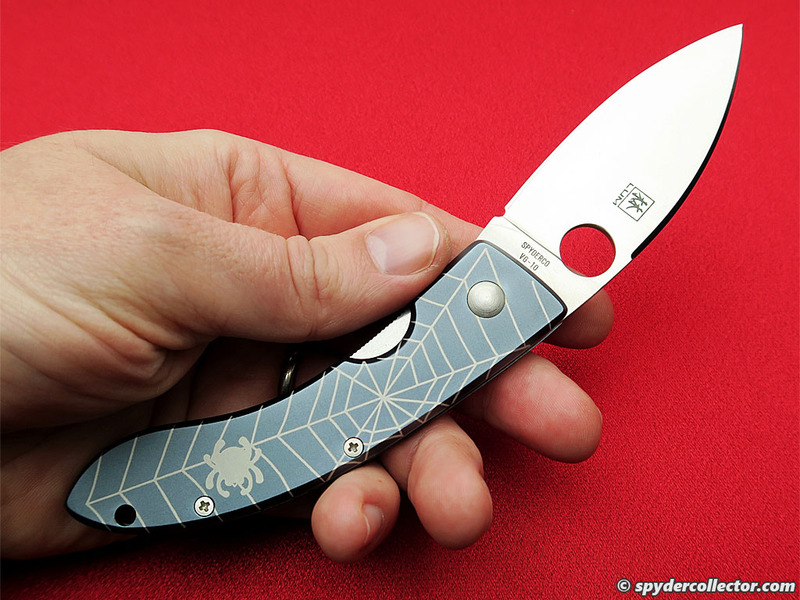 The handle is actually a one-piece design that exposes the tang only on the spine of the handle. 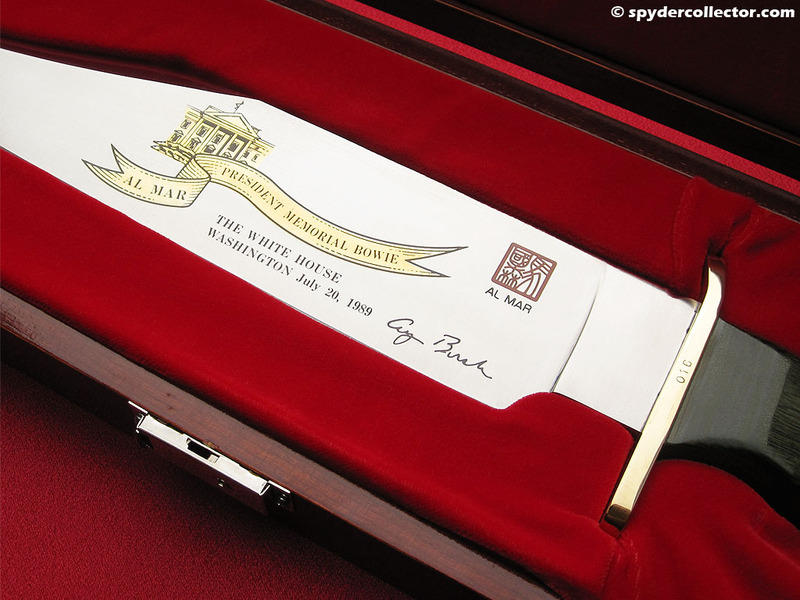 The massive blade is about 12 inches long, 2 inches wide and 0.196 inches thick. It certainly held up well all those years. Although it shows no signs of resharpening etc.., the edge was still screaming sharp. The etching is also in excellent condition. 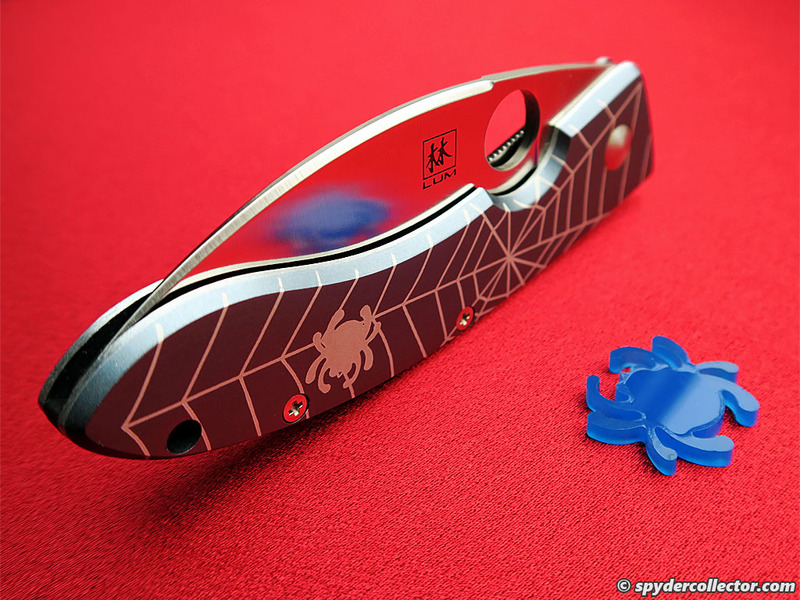 I did notice a few imperfections in the blade’s polish from the manufacturer, through my magnifying glass. It doesn’t show up in regular handling and display though. The lid on the box shows some slight warping, but it is not dinged or scratched. The box is a shiny lacquered wooden affair. I also noticed a few of the nails from the hinges were loose. I carefully fixed that, again, I know this hurts the market value but I still don’t care ;-). The lock came with one key and the mechanism still works well. I added a drop of oil just to be on the safe side. The velvet lining in the box was not cut, torn or worn in any way. There was just a bit of dust that I carefully brushed off. There was no sheath with this knife. A moot point; as I cannot imagine actually carrying this magnificent blade. After a thorough search of the warehouse area, the shop manager even turned up the original blue cardboard box. The knife did not come with any paperwork and I do kind of miss the certificate, which I’ve seen in both a vintage catalog and several eBay auctions. I’m incredibly happy and satisfied that this knife is now in my collection. I visited this knife many times in the 22 years that I knew it existed, and now I was able to take it home with me. I get a little boost of nostalgia every time I look at this beast of a knife. 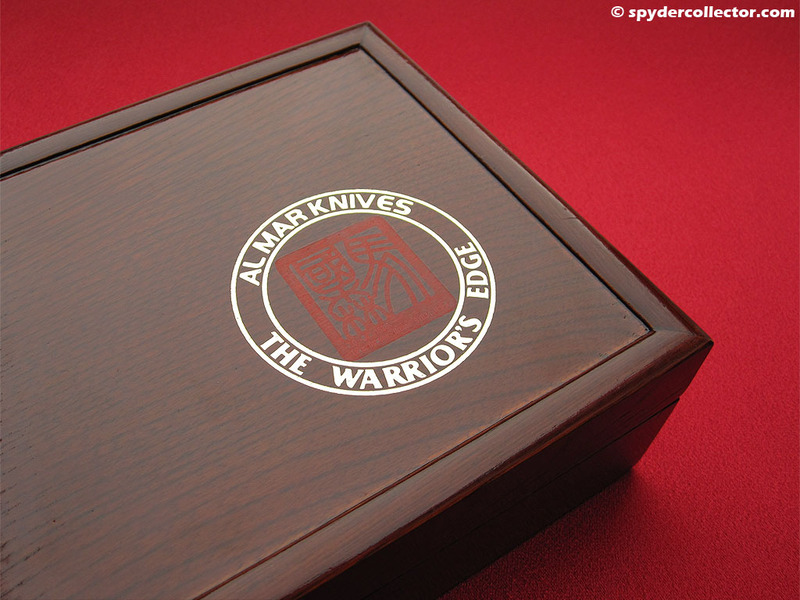 Although the knife was designed to look the part, the construction is old-fashioned Al Mar. 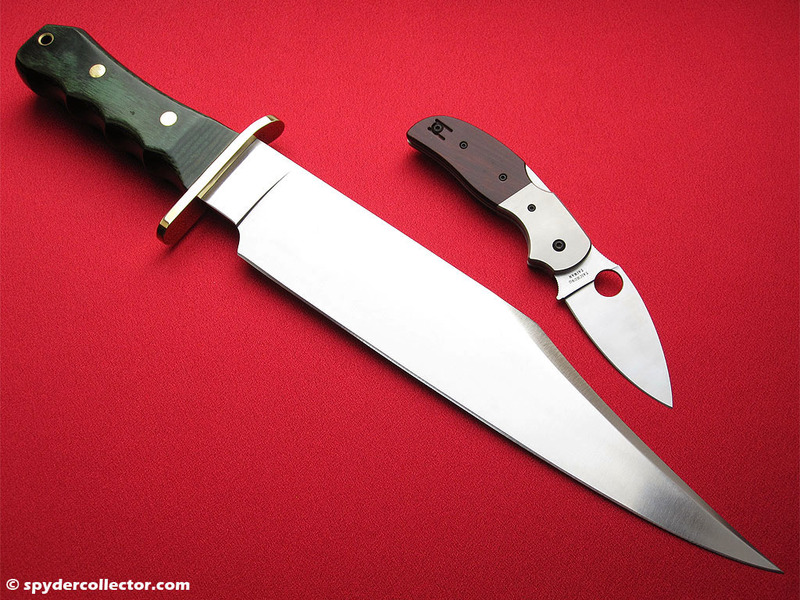 the same construction that was put in the famous field knives, was also used to manufacture this beautiful Bowie. 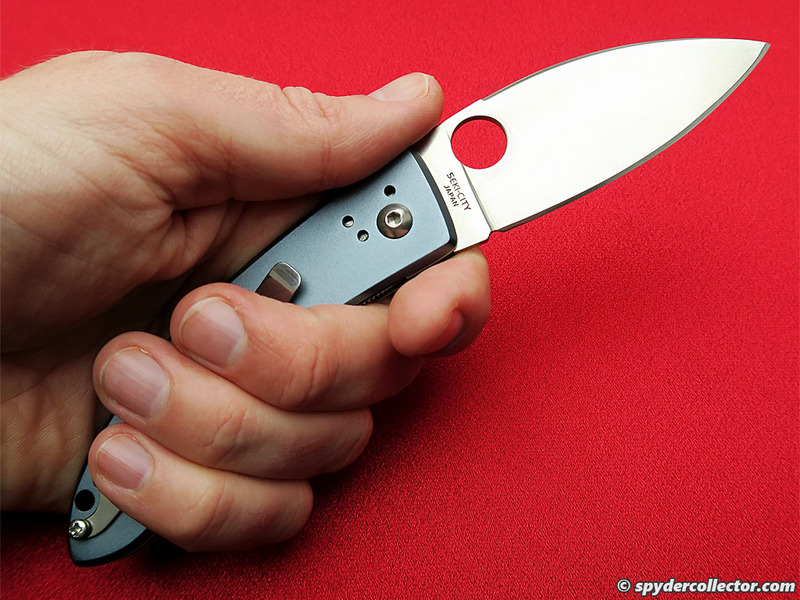 The knife handles surprisingly light and the grip is quite ergonomic. 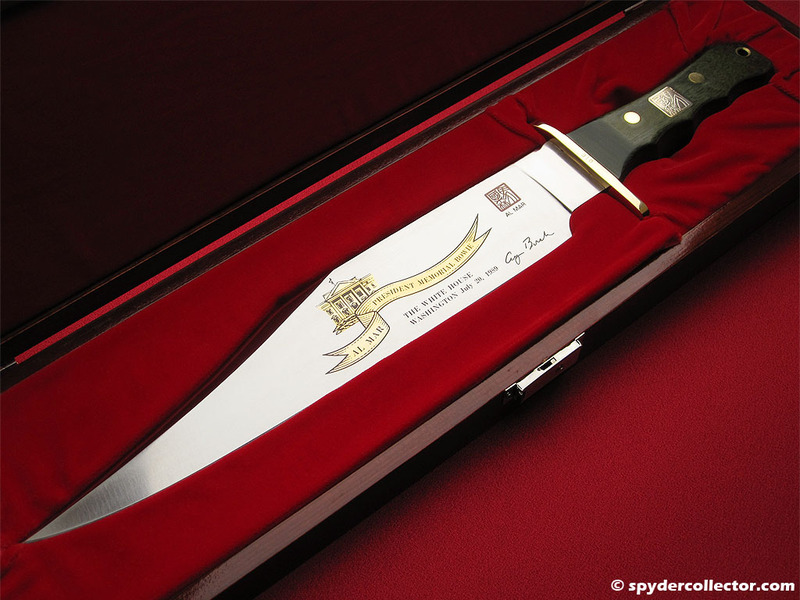 I might offer my daughters to use this knife to cut their wedding cakes. 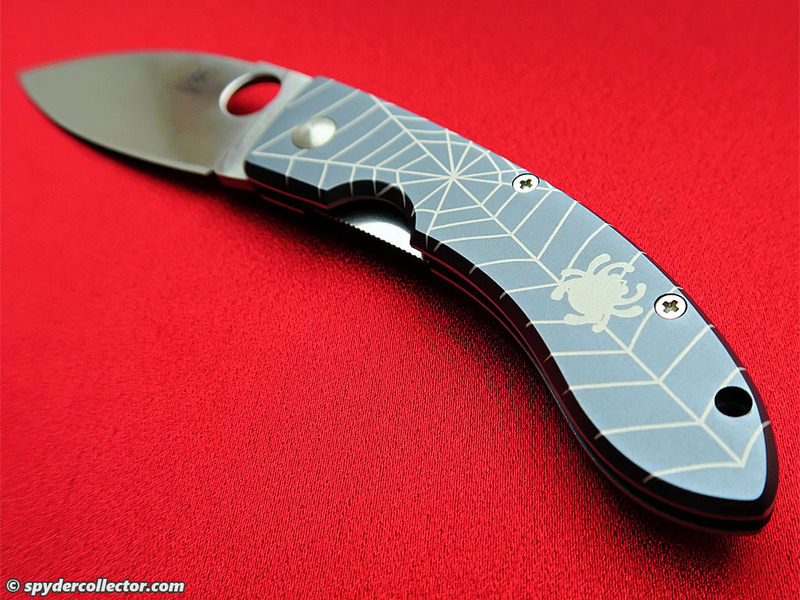 I can’t think of any other use that I would risk scratching the finish of this great looking knife. 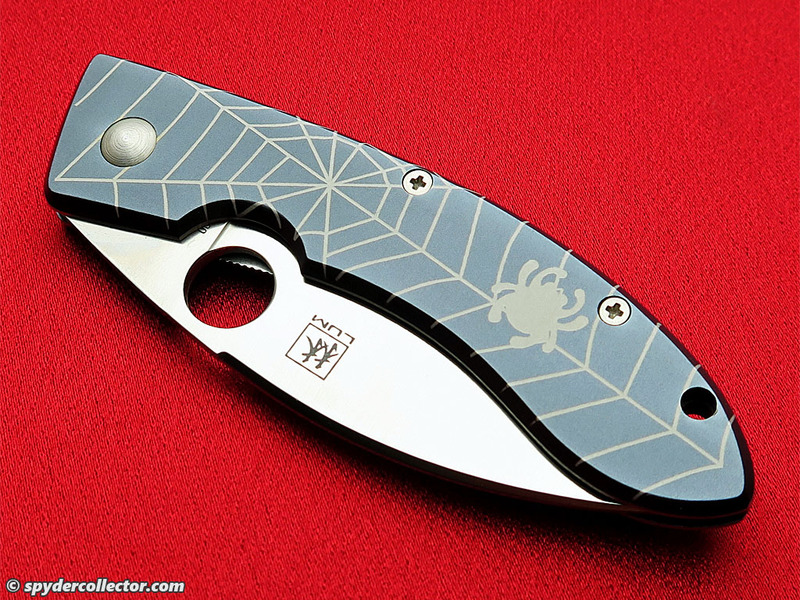 Thank you Al Mar for creating such an awesome design, and of course for helping Sal to produce his first Spyderco knife! 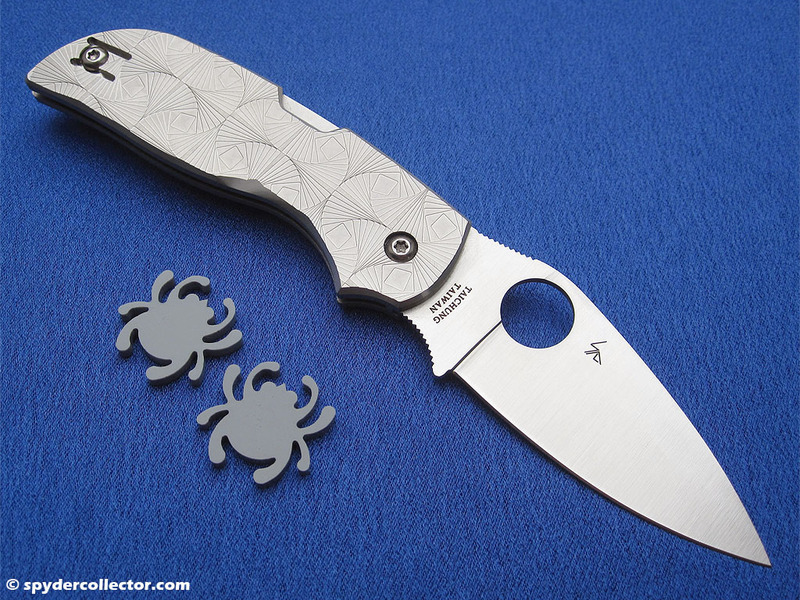 The Spyderco Chaparral ‘3’ with its stepped titanium handle is the most expensive (MSRP) spydie so far, so this one won’t be a big hit with folks looking for a simple hard working knife. Still, it’s a very striking design and I’m very pleased with it. There has been plenty of discussion about this model being overpriced etc… I won’t get into that, but I will predict that in a couple of years a -lot- of collectors will lament not getting one for this price when they could. 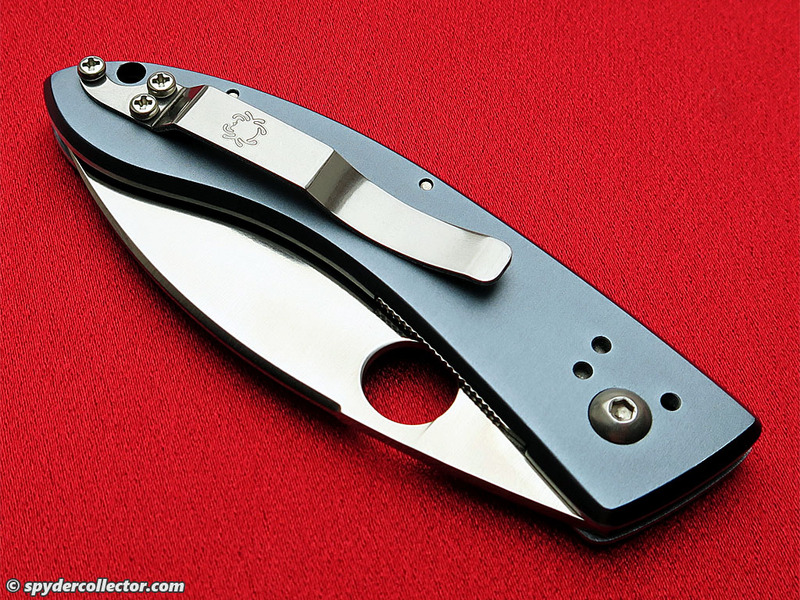 The Chaparral ‘3’ is bound to become a ‘grail’ knife for many. 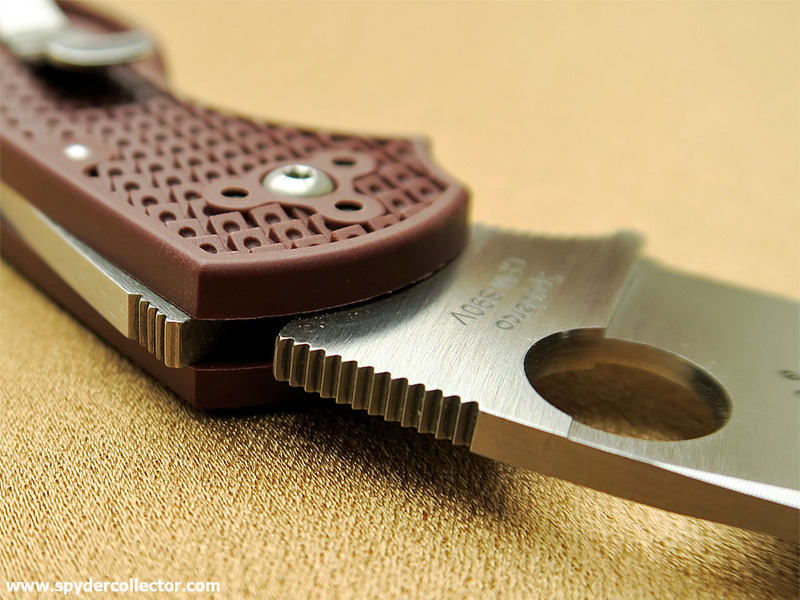 The fit and finish are simply superb; I couldn’t detect any flaws on the steps or any other part of the knife. 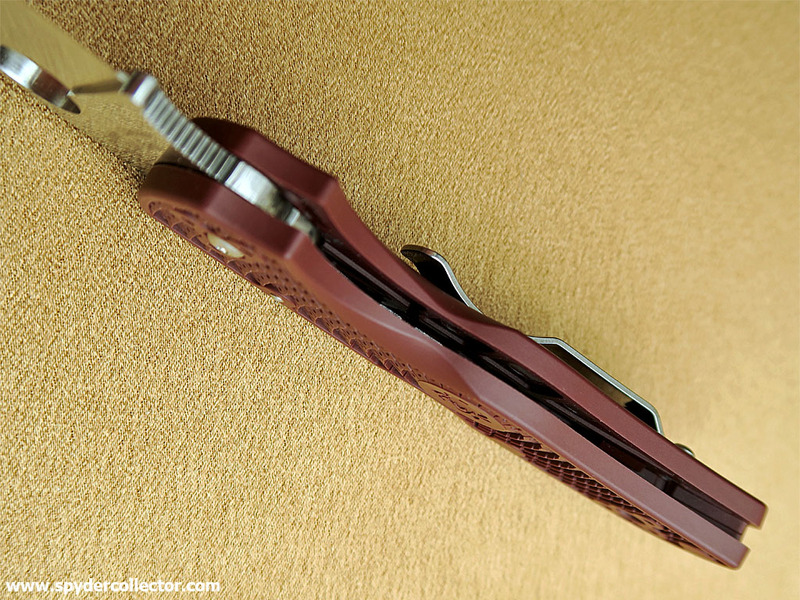 The Chaparral opens smoothly and locks up tight, the edge came very sharp from the box and the clip was easy to switch. Basically, it’s a really nice gent’s folder and a great utility EDC folder. The Chaparral makes for a superb universal opener and a limited food prep knife. Function-wise it’s just as nice as my ‘titanium stealth Chaparral’, that I reviewed in more detail back in 2012. As is obvious from the photos, the handle pattern features an intricate design of tiny steps. I understand it takes a lot of fairly complicated machining, and the design took quite some time to develop. 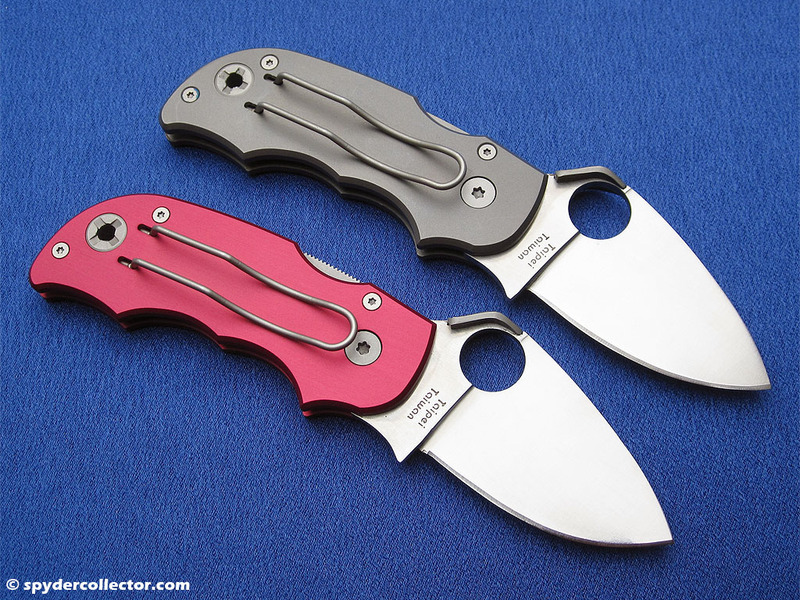 Spyderco apparently can only make about 10 per day, so the stepped titanium Chaparral is not going to be widely available at dealers. What impresses me is that there are no curved lines in the handle. All the machining is done with straight cuts. The steps in the Chaparral’s handle remind me of the art by M.C. Escher who, apart from having the best initials ever for rap battles with fellow artists, was a Dutchmen like me. So I carry this little gem with a bit of extra pride. The wow-factor of the design is simply off the charts. The Chaparral stepped titanium is currently the best conversation piece in my collection and it’s the best liked knife by the non-knife people I know. That is, until they hear of the price, or rather my unwillingness to share the actual price when they ask. You’ve been there, right? 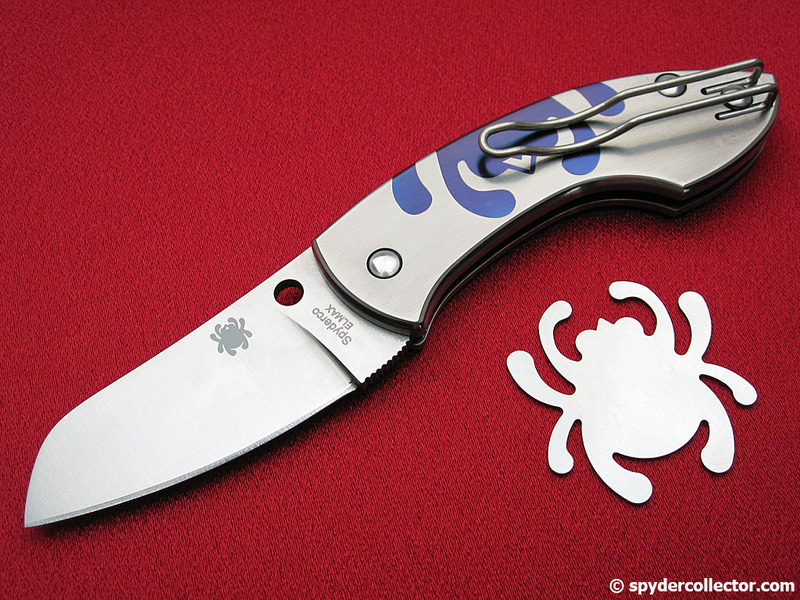 As much as I love my spydies, I totally ‘get’ the obsession fellow spyderknuts have with custom knives or mid-techs like the excellent Sebenza by Chris Reeve. 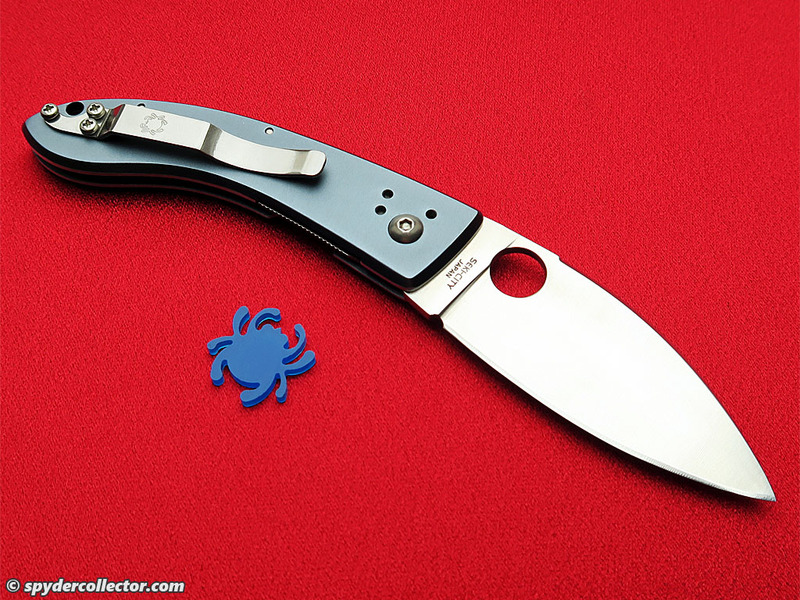 Whenever I get that urge, I just clip on the Chaparral ‘3’ and I’m good, knowing that this is a much more ergonomic design with the best opening device for folding knives, the Spyderco opening hole. Click here to see photos, video and information on the Stepped Titanium Chaparral 2013 prototype. I felt like clipping on a pair of vintage spydies today, and my eyes fell on these Salsas. 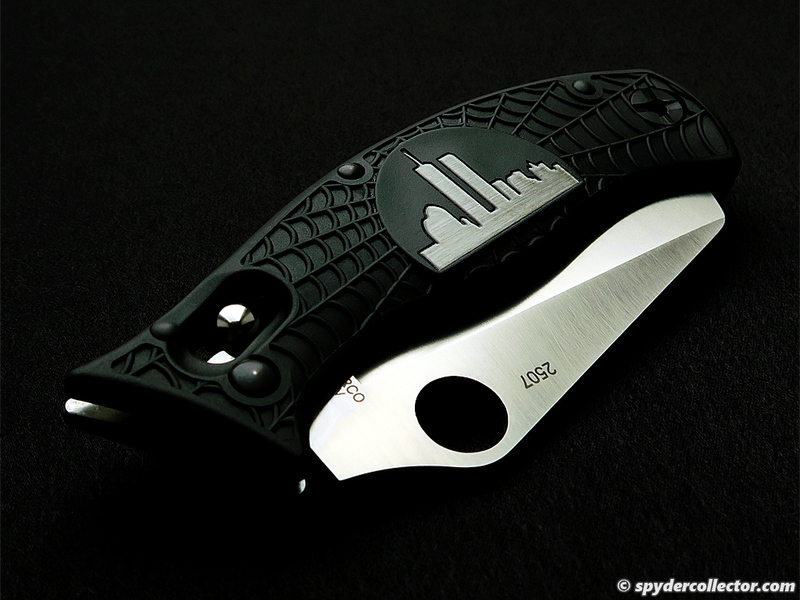 This was one of Spyderco’s first forays into having knives produced in Taiwan. 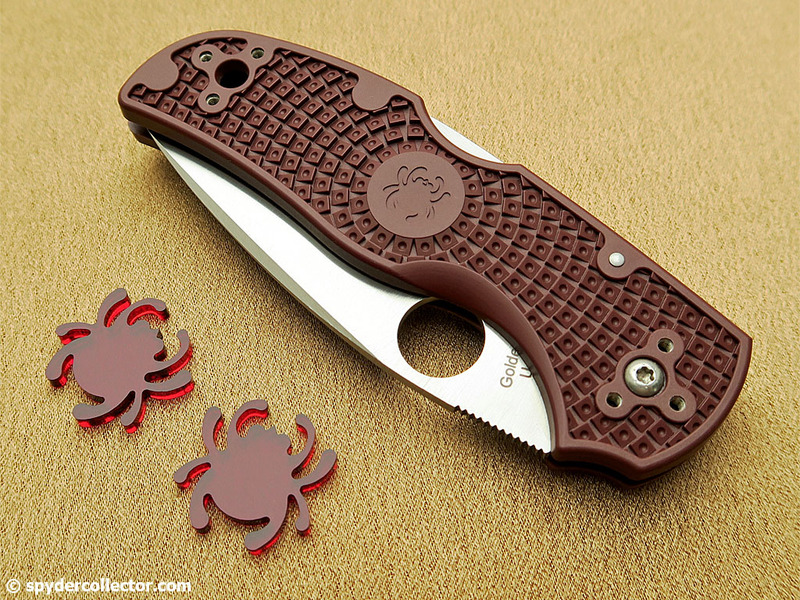 IIRC, this design came shortly after the Li’l Temperance folding knife. And, to me, the Salsa always seemed like a slightly smaller and even more PC version of the Li’l Temp. 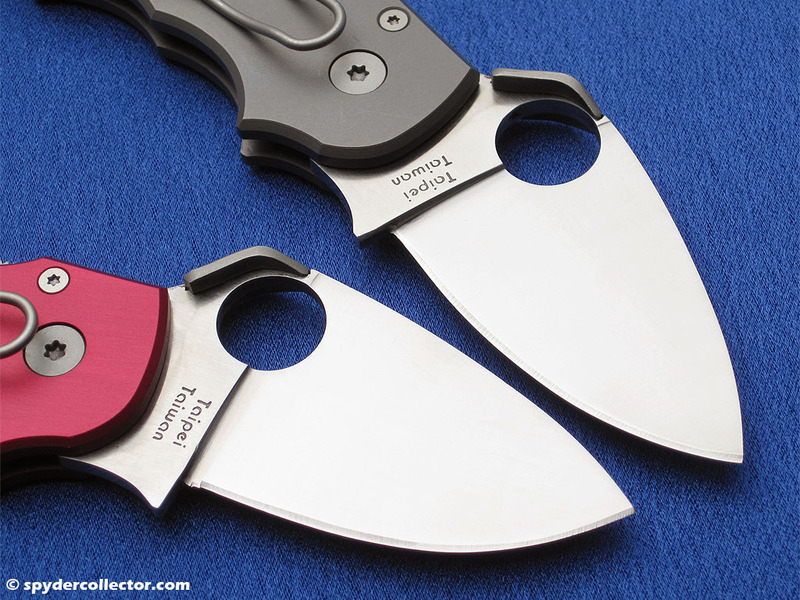 The Li’l Temperance and Salsa are both so-called li’l big knives featuring a full grip and a wide flat ground blade with a compression lock. The Li’l Temp’s production quality and overall fit and finish is definitely better than the Salsa though. But the Salsa’s colors and rounded tips make them especially suitable for educating non-knife people to the benefits of carrying a pocket knife. I never like the original pepper designs on the aluminum Salsas, so I was really happy to score these two knives. I just wish the cranberry Salsa featured a left-handed clip mounting option.